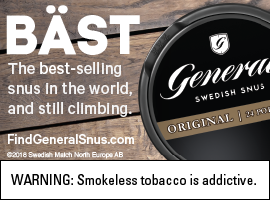 Combining the name of a Swedish king with an acronym for the United States of America… it doesn’t get more Swedish-American than that. We’ve highlighted the mass migration that brought some 1.3 million Swedes to the United States beginning in the mid-1800s and many settlements across the country as migrants traveled west — from the first touchstones in what is present-day Delaware to New York and Minnesota. In our latest Svenskamerika, we head to Nebraska, where Swedish-born Theodore Thorson laid down his roots after leaving Scandia Grove, Minn. 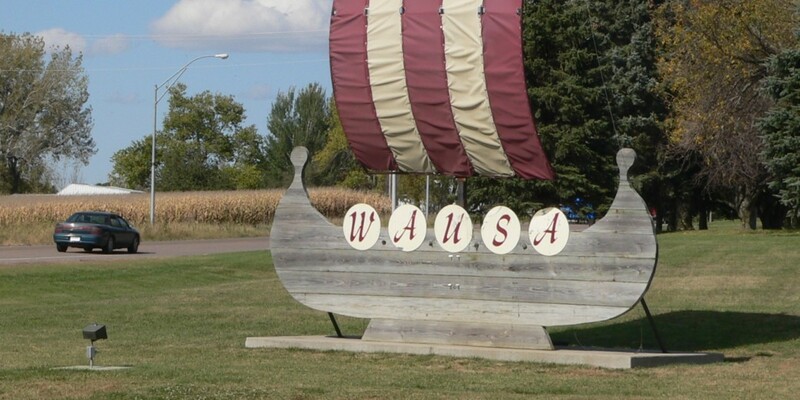 Located in Knox County, about two and a half hours north of Omaha, is the tiny town of Wausa, a Swedish settlement with a population of about 600. And although the community is small, its Swedish pride stands strong. And has since it was founded in 1882. In search of land suitable for livestock, Thorson found the grassy, rolling hills he was looking for in the northeastern region of Nebraska. He quickly leased 200 acres to start a sheep farm and moved there with his wife. Over the next few years, dozens of Swedish families followed and eventually formed the Swedish Evangelical Thabor Lutheran Congregation, according to the Wausa Gazette. 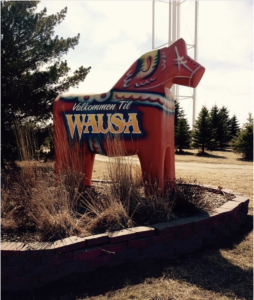 When entering Wausa today, residents, visitors and passersby are greeted with Swedish hallmarks — from the Northern side, a giant Dala horse decorated with a Swedish welcoming, and from the southern edge, a Viking longship. Around town, banners and other décor are adorned in Dala horses. Some businesses even use the icon as advertising. But the most Swedish staple in this town is its annual Swedish Smörgåsbord. The Swedish Smörgåsbord was started by a group of ladies from the local Methodist Church in the 1940s. In need of a new organ, they cooked up a Swedish spread to raise money and would continue to do so each year. Although the organizations who have hosted this event have shifted from time to time, eight decades later, the tradition lives on (except for a five-year hiatus). During the event, residents celebrate Wausa’s Swedish roots and their heritage. Traditional Swedish dishes like potato sausage, meatballs, scalloped potatoes and ostakaka, a Swedish custard, are always on the menu, and the celebration also includes activities like Swedish dance performances, crafts and costumes. 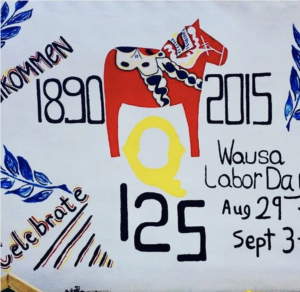 This year, Wausa will celebrate its 76th annual Swedish Smörgåsbord in October.